Now the problem I have whenever I buy zucchinis is that I always seem to have more than I need. After making the fritters there’s still some leftover zucchini and before I could put the crazy idea of zucchini juice into action, I thought of making fries! Of course, this is nothing new or uncommon but I’ve never tasted fries like these before and wondered how it would differ from potatoes. Not to mention zucchinis are quite watery. 1. Mix batter together till you have the consistency of wet paint. Season with salt and pepper. 2. 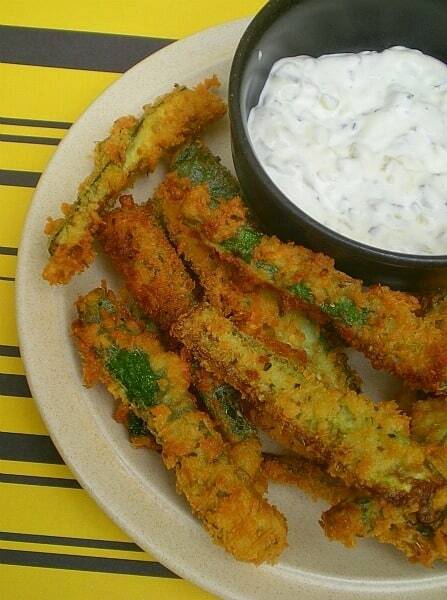 Put your zucchinis in the batter. Mix the breadcrumbs with the oregano and parsley. Shake them together to mix evenly. 3. Place the batter coated zucchinis in the breadcrumb mix and coat thoroughly. 4. Heat oil in a pot till frying temp. 5. 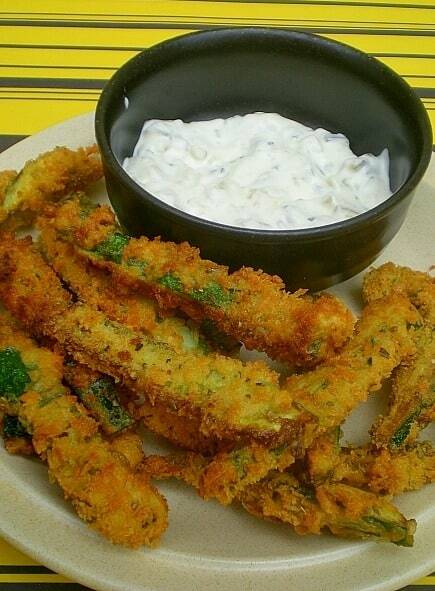 Fry the zucchini fries rapidly, they don’t take long to cook. 6. Drain on a rack. Eat with tartar sauce or other dippings. 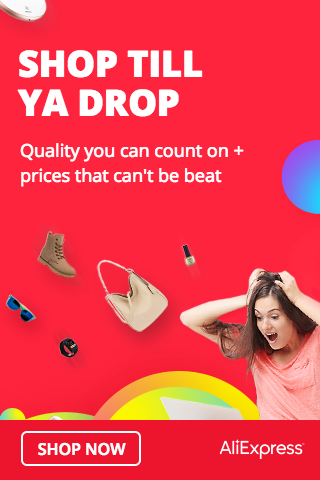 I think so JYap…..you can try. 🙂 Ask ‘someone’ to make for you.